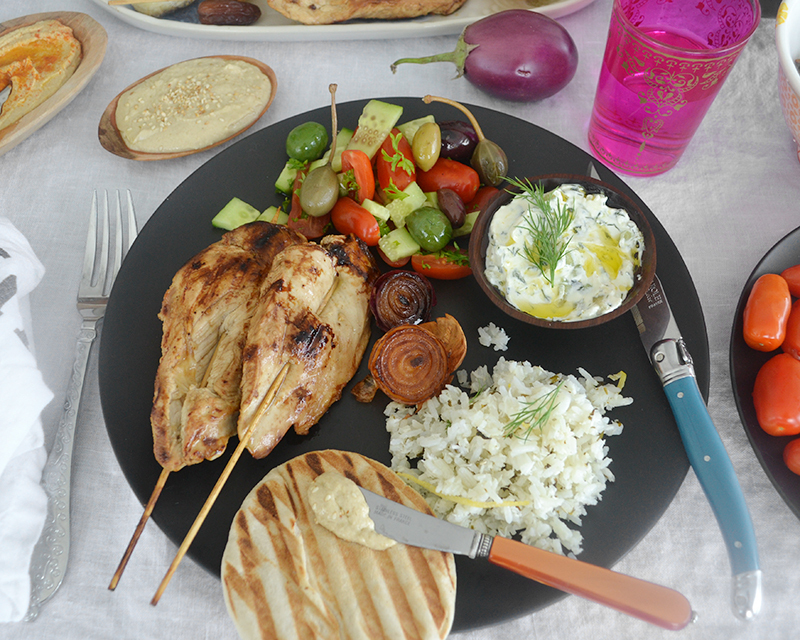 Teriyaki Garlic Lemon Chicken Skewers are great with Tzatziki, tahini over warm pita bread, or accompanied with a salad and jasmine rice. 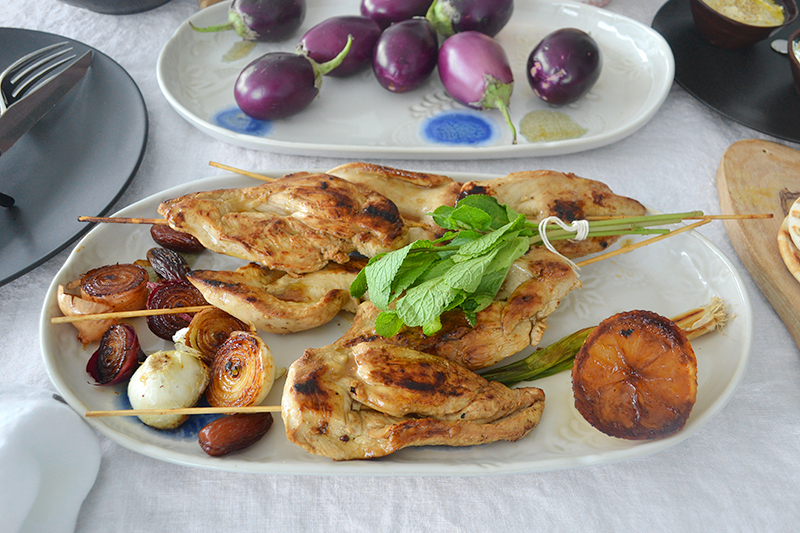 Perfect for a big crowd on an outdoor grill or inside with a few friends on a griddle. 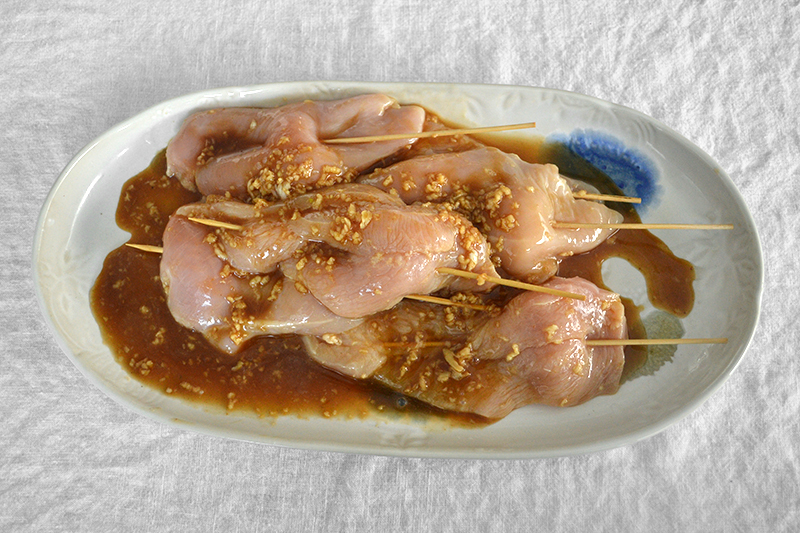 To make the marinade combine in a bowl the garlic, lemon juice, worcestershire sauce, teriyaki sauce and mix well. Rinse chicken breast under cool water and pat dry with paper towel. 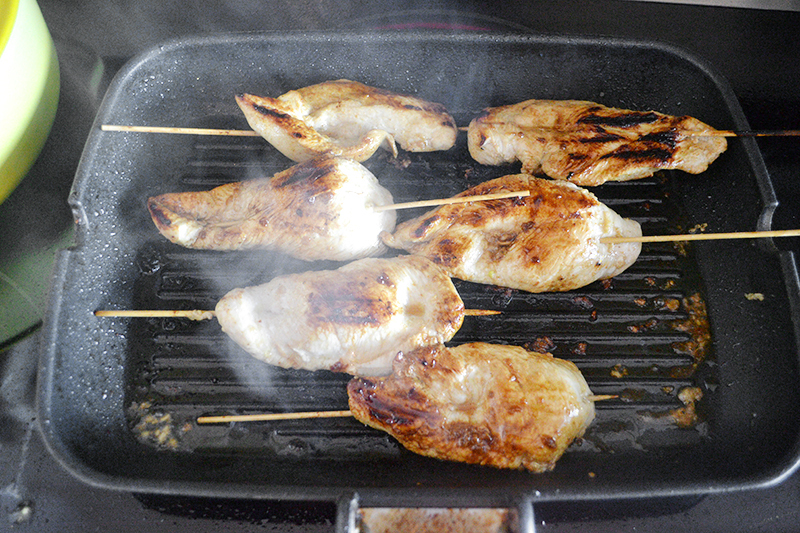 Pour marinade over chicken, cover with plastic food wrap, or place in ziplock bag, and refrigerate for about an hour. Drain the chicken and thread them onto the skewers. Preheat grill at medium high and lightly coat with olive oil. 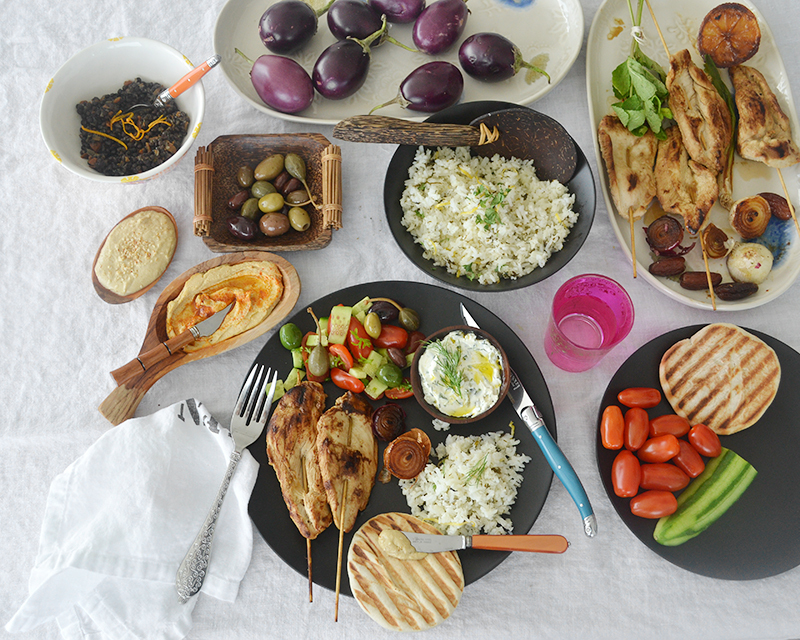 Place chicken skewers on the grill and cook each side about 2-3 minutes per side, or until cooked through.